The Baker administration seeks to import hydropower from Quebec. It seemed like such a simple solution. To the north of New England, there’s a vast network of rivers and dams that generates massive amounts of hydropower, energy that could slake the growing demand for emissions-free electricity in Massachusetts. So the Baker administration sought proposals to build new transmission lines to import some 1,200 megawatts of hydropower from Quebec, enough to keep the lights running in some 1.2 million homes. The new power would reduce the state’s heavy reliance on natural gas and curb greenhouse gases, proponents said. But the latest plan — routing the Canadian power through Maine — faces growing opposition, threatening a cornerstone of Governor Charlie Baker’s energy policy. That opposition comes after New Hampshire officials in February rejected a $1.6 billion plan — called Northern Pass — to run power lines through the White Mountains to Massachusetts. The opposition to the proposed Maine route has been emboldened by delays in the review process that are likely to give the state’s newly elected governor, Janet Mills, significant influence over the project’s fate. She’ll have the power to appoint those overseeing the review. 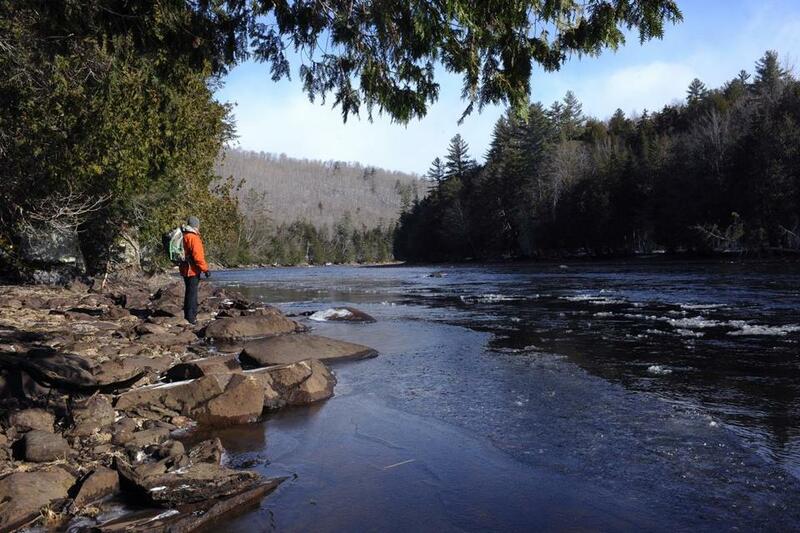 Unlike Republican Governor Paul LePage, a staunch supporter of the $950 million project, Mills, a Democrat, has expressed repeated skepticism about the proposal, which would carve a long path through the North Woods, cross the Appalachian Trail three times, and span or tunnel below the Kennebec River Gorge, the region’s crown jewel. “I have serious questions and concerns about the environmental impact of this project, which would clear a football-field-wide swath through 145 miles of pristine wilderness in western Maine, creating a dramatic change to the landscape of our state, disrupting deer-wintering areas, streams, and other important habitats, with no apparent commitment to any serious environmental mitigation,” the governor-elect said in a telephone interview this week. Mills, currently the state’s attorney general, called on Hydro-Québec, a public company that would generate the electricity, and Central Maine Power, which would build the power lines, to be more transparent about their plans and sweeten their proposal by providing more money to Maine. “I would want to see substantial mitigation of this environmental impact, as well as concrete, longterm benefits to Maine ratepayers and energy consumers before putting the welcome mat out for this project,” said Mills, who lives in western Maine near the proposed power lines. The proposal would span or tunnel below the Kennebec River Gorge, near this spot. The plan has also run into increasingly vocal opposition from environmental advocates, some of whom initially seemed open to the proposal. Those groups recently commissioned a detailed analysis of the project that asserts that its promised environmental benefits are likely fictitious, and could cause overall emissions to rise. The report contends that Hydro-Québec would have financial incentives to divert the hydropower from other regions it supplies, such as New York or Ontario, and instead send them power derived from fossil fuel plants. 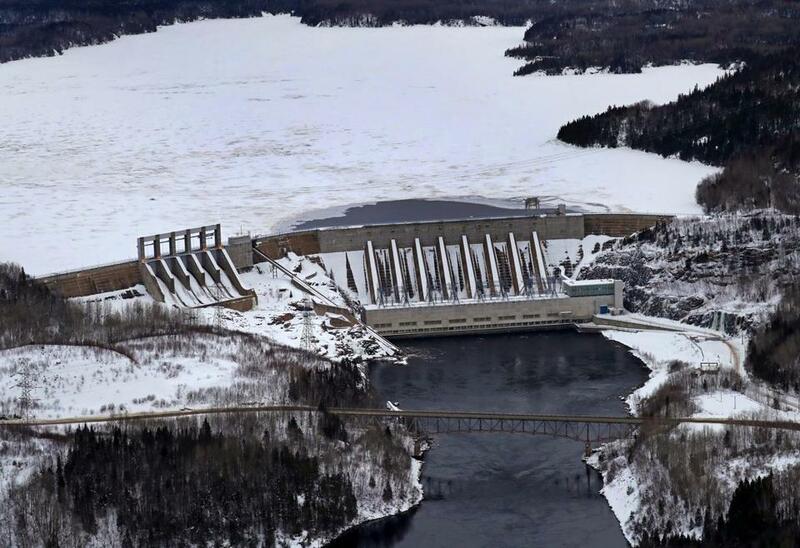 They also blame Hydro-Québec and Central Maine Power for failing to provide information requested by Maine’s Public Utilities Commission and the state’s Department of Environmental Protection, both of which have delayed their reviews of the project. The agencies are unlikely to decide on the required permits for the project until well after Mills takes office in January. Officials at Central Maine Power insist their plan remains viable and on track to be completed by 2022, as promised to Massachusetts. The benefits of their proposal, they said, include reduced energy prices throughout the region, millions of dollars in new tax revenue for communities along the project’s path, new jobs, and a major source of emissions-free energy that would benefit all of New England. They blame natural gas and oil companies for stirring opposition. “Old, inefficient, and costly fossil fuel electric plants in Maine and New England stand to lose millions when this clean energy solution goes online, which is why they are working aggressively to undermine this project,” said Catharine Harnett, a spokeswoman for Central Maine Power, a subsidiary of Avangrid. The company is responding to the agencies’ requests, she said. “We are involved in a routine regulatory process, and have provided information continuously to the Maine DEP and the Maine PUC,” she said. But environmental advocates said their concerns were reinforced by a detailed analysis they commissioned from Energyzt, an energy consulting firm with offices in Boston. The report stated that Hydro-Québec would have a “financial incentive” to maximize its profits by exporting inexpensive gas or oil to other markets, while holding onto the water in its reservoirs until prices rose. They noted that Massachusetts authorities, under the terms of the contracts with the state’s utilities, would have no ability to monitor or prevent the Canadians from doing that. “Massachusetts ratepayers effectively could be paying above-market prices for power from existing resources outside of Québec that provide no incremental environmental benefit,” the report found. The new power lines could also “adversely affect the economic prospects for Maine renewables, which are likely to be deferred or delayed as a result of the project’s impacts on the local transmission network,” the report stated. A previous report on the Northern Pass project reached similar conclusions. Baker administration officials declined to respond to questions about whether they are concerned about the project’s viability or are considering other options, such as a proposal to bring the power lines through Vermont. Katie Gronendyke, a spokeswoman for the state’s Executive Office of Energy and Environmental Affairs, pointed to a state Department of Energy Resources finding that the project would substantially reduce emissions in Massachusetts. “Massachusetts’ greenhouse gas mitigation was a key aspect of the evaluation criteria,” Gronendyke said. In Maine, however, concerns about the project extend well beyond Augusta. In the towns of Caratunk and Alna, where the power lines would pass through, local officials recently rescinded letters they had written in support of the project, calling the proposal harmful to local residents and saying the economic benefits would pale compared with other potential clean energy projects. “We have grave concerns for the welfare of the citizens and ratepayers should this project be brought to fruition,” Elizabeth Caruso, chair of the town’s selectboard, told the Bangor Daily News.